Did you know the average person checks their phone around 110 times day? Some even unlock their devices 900 times in a single day! That’s 12 hours of eyeballs... that you can turn into more business. Do you want an open rate of 98%? Look no further. Go beyond the inbox and reach your customers where they really are - any time. 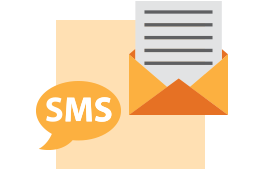 Use the urgency of SMS to get your message opened now. Two is always better than one. I mean, who is Sonny without Cher? Adding SMS to your email campaign is a powerful way to get noticed, be read and engage with your customers. 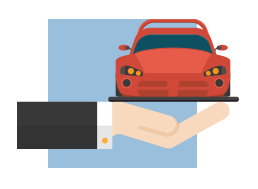 Reach your customers on the go - anywhere and anytime. 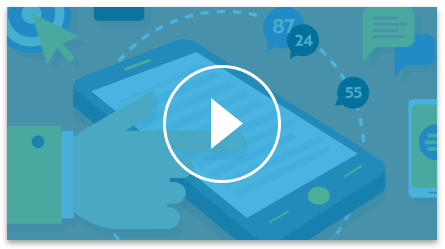 With messages arriving from every angle, you’ve got even more chances of making sure your campaign gets noticed. 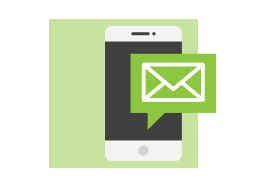 Adding personalized SMS into your email marketing efforts will supercharge your results. Use emojis to excite your audience and make them feel loved. Come on, show some personality! Start writing in other languages. Talk to your audience in a language they prefer using our Unicode support.